Free money worksheets. Learn about coins and counting money. 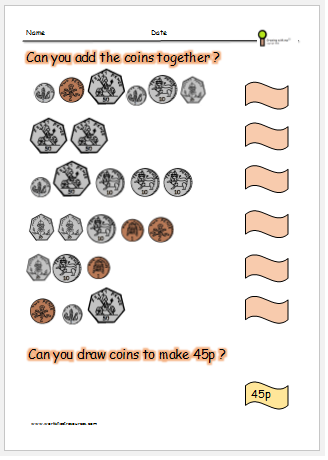 Worksheet activities using 1p, 2p, 5p, 10p, 20p, 50p, £1.00 coins. 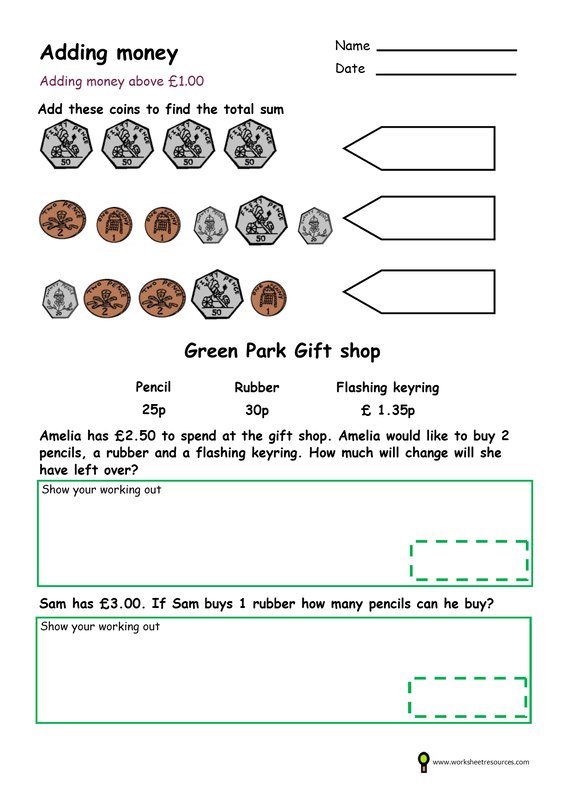 These worksheets are ideal for years 1, 2, 3, 4, and 5. help your child recognise coins and work out costings of items with these free printable worksheet activities. 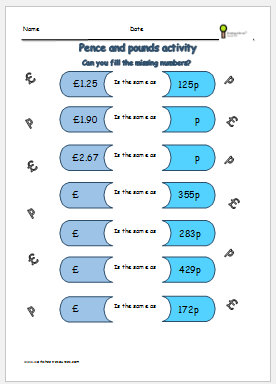 Use the worksheets as an introduction to money or revision homework. 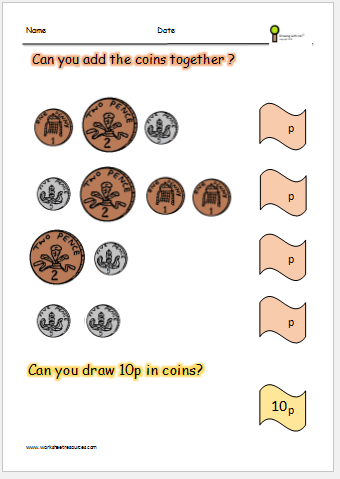 Worksheets include money word problems which are ideal for test practise in year 2 and 3 in ks1 and ks2. 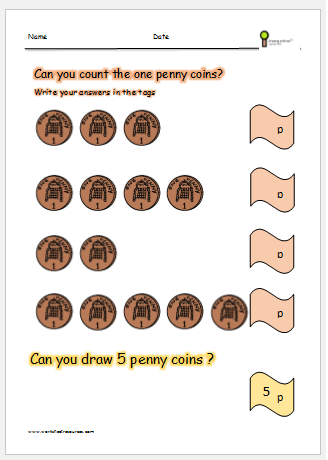 Free printable money worksheet working with coins adding money worksheet . 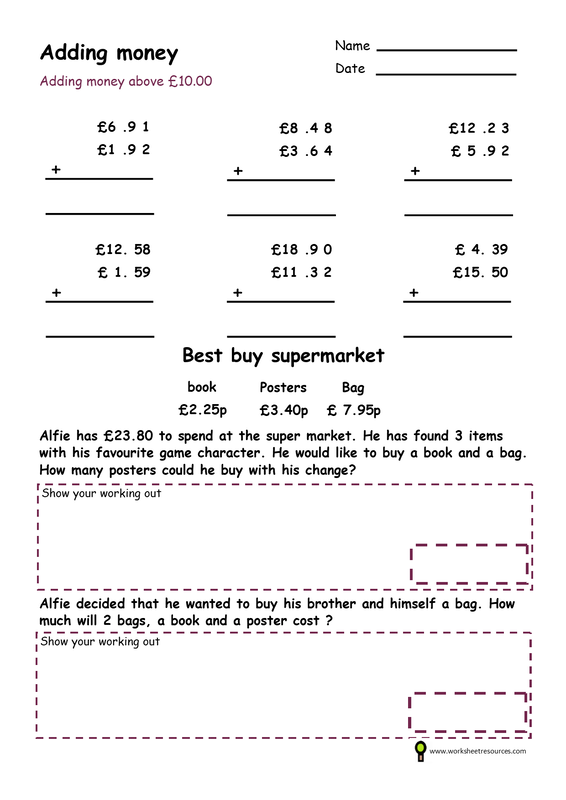 Ideal year 3 and 4 worksheet with word problems . Money word problems using pounds and pence. Free money worksheet one penny coin worksheet. Math resource .Money worksheet. Free money worksheet working with pounds. 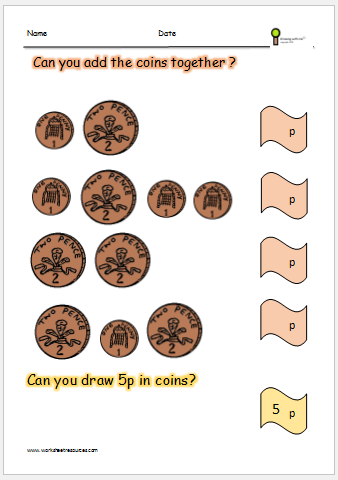 Counting money coins worksheet.